The Gifts of December | Thank You God! Thank You God! Daily morsels of appreciation for the life in which we live! Usually during this time of year we lose sight of the true meaning of the season which is celebrating our love for one another; family and friends as well as our fellow mankind. I am so grateful for the colder weather, all the decorations, and of course the food, fun, & fellowship with loved ones not seen on a regular basis. December is a time for closer connection and appreciation for the ones we work with as well as the ones who serve us in the community by delivering our mail or wait on us in various establishments. It is a great time of heartfelt communication, lasting eye contact, warm embraces, great adventure, joyous gatherings, and decadent food. What gifts do December have to offer you? 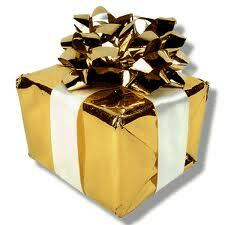 These gifts are all abound and only require your acknowledgement, receipt, of them to unwrap their magic. Thank you God for bringing us all this season of hope. Now what are you going to do with it?